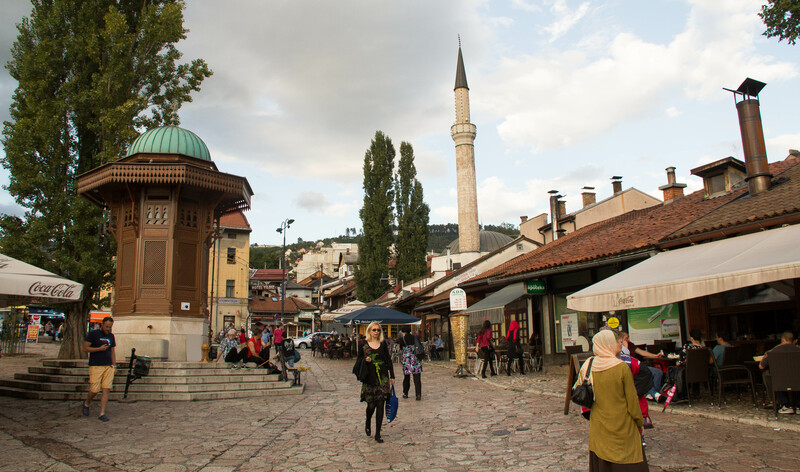 Sarajevo is a city steeped in history, and a cultural melting pot in Bosnia and Herzegovina. For a city of less than half a million residents, it has a buzzing heart and a plethora of things to see and do when you are visiting. Within a stretch of a few miles you will see old Ottoman streets open up to wide Austro-Hungarian Boulevards, small Synagogues nestled tidily beside dramatic Mosques and austere Orthodox Cathedrals, and the remnants of a recent war intermingled with the goings on of a city very much getting on with life. The centre of the city is compact and easy to navigate on foot once you can manage to find your way through the small warrens of the Bascarsija. There is so much to do here that it’s difficult to come up wth just 10 things to do, it’s difficult to be bored in Sarajevo. 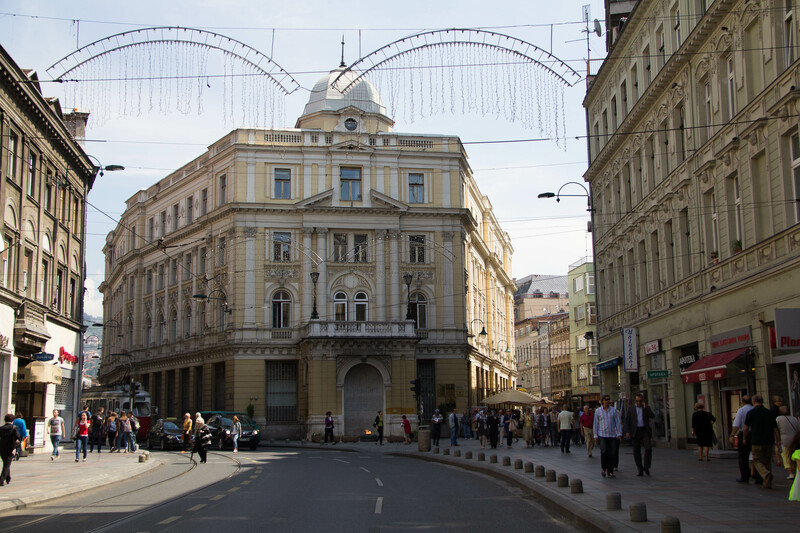 A fantastic way to get your bearings and to learn a lot about Sarajevo’s history right up to the present day. We did a 2 hour tour with Toorico Tours. Ervin, a native Sarajevan, knows this city back to front and is the friendliest guy you are likely to meet. Ask him questions, tell him what you would like to see and soak up the knowledge. In a city full of nooks and crannies, this is the best way get a feel for what is going on around you. Drop Ervin an email at info@tooricotours.com to arrange a time to meet him at the Eternal Flame and kick off your personal tour of the city. You can walk all day if you want, and don’t forget to tip! Toorico Tours can tailor your tour of the city especially to your needs, whether you want a Siege Tour, a Full Day Tour, just get in touch and let them know. There are few places I have ever sat and enjoyed people watching as much as I did at the Sebilj (Fountain) in the Bascarsija. 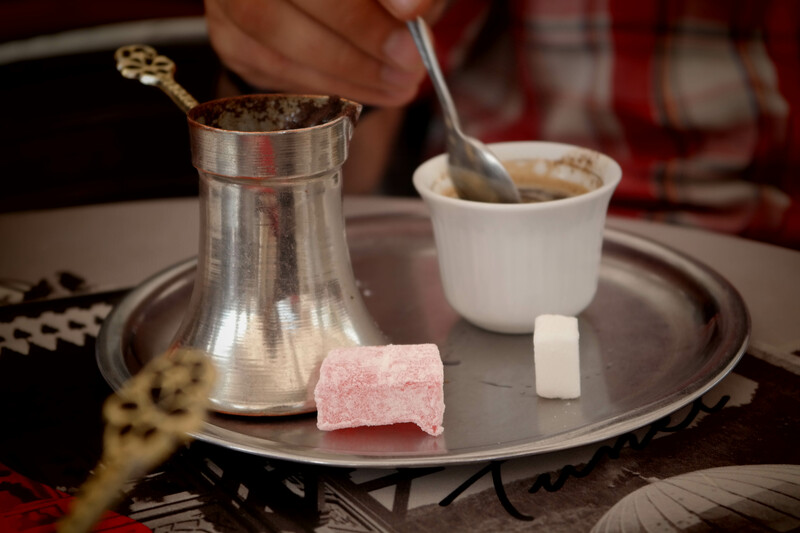 Order a traditional Turkish Coffee, munch on deliciously scented Turkish Delight and watch the crowds come and go. One of my favourite cafes was the small, unassuming and friendly Kafe Tunel. You can always join in with feeding the thousands of pigeons if you want to get involved, but otherwise, just sit back and watch the streams of tourists, locals just getting on with heir day and enjoy the hustle and bustle. If Turkish style coffee isn’t your thing, order a macchiatto, you’ll not regret it! 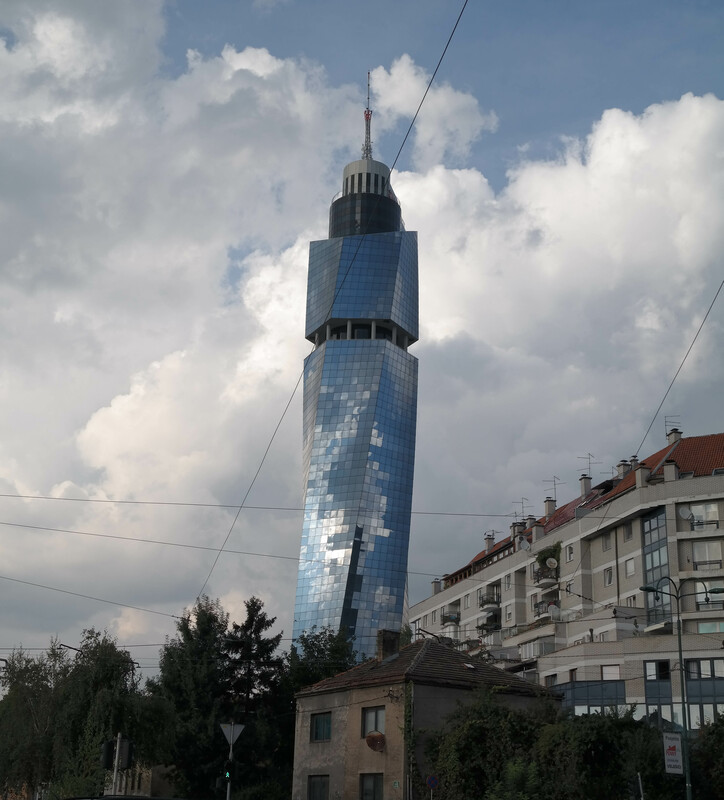 If you want to stroll out towards Hotel Holiday Inn, you will find it hard to miss the Avaz Tower shining above you. It’s a leisurely 20 minute stroll from the Bascarsija, or if your feet are feeling weary, you can also take a tram. Once you get to the Tower, the fun begins. The lift was surprising to say the least, but I won’t give any more away than that. Once at the top, enjoy panoramic views of the city, try spot your hotel and pick out all the famous landmarks you can see. Afterwards, enjoy a coffee or a cheeky beer in the restaurant just below the top. The service is a little lacklustre but the view is second to none. This is a great place to watch the sun set on Sarajevo in all it’s charm. The lift to the top is free and is worth doing on its own! It’s impossible to visit Sarajevo without paying a visit to the site where Archduke Franz Ferdinand and his wife were shot, thus crediting Gavrilo Princip and a band of 5 other terrorists with kicking off World War 1. The Latin Bridge once had an imprint of where the assassin had stood but that sadly disappeared during the 1992-1995 war. The tale of the shooting of Sophia and Franz seems all the more poignant as they had been able to spend their fateful train ride to Sarajevo together, an unusual circumstance as the social divisions between them often saw Sophia obliged to travel in a seperate carriage to her husband, the heir to the throne. Walk in the footsteps of one of the 20th Centuries seminal events. There are a number of surviving if somewhat decrepid remains of the 1984 Winter Olympics dotted around Sarajevo and it’s surroundings. Within the city you will find the Olympic Hall and the remnants of the speed skating track (They’re signposted). Keep an eye open as you explore, every so often you will come across faded murals of the Olympic Mascot, Vucko, or emblems laid down in the city streets preceeding the event. If you want to see more, I thoroughly recommend going as far as the Olympic Bobsled Track. It’s an energetic but thoroughly enjoyable hike out of the city into the hills. Carrying on to the top of the hill will give you a birds eye view over Sarajevo. Following the remains of the bobsled track is an eerie experience. Sunlight filtering through the overhead canopy on to the colourful graffiti creates an atmosphere of abandonment. There are rumours that it is to be refurbished for the 13th European Youth Olympic Festival in 2017, however there seems to be little of evidence of this at the time of writing. The most impressive and stomach churning of all the Olympic Sites we visited were the Ski Jumps at Mount Igman. They’re not signposted but when you see a sign for Malo Polje, follow the turn off and you’re there! It’s a trek out of the city and best to get a taxi but it is well worth the effort. 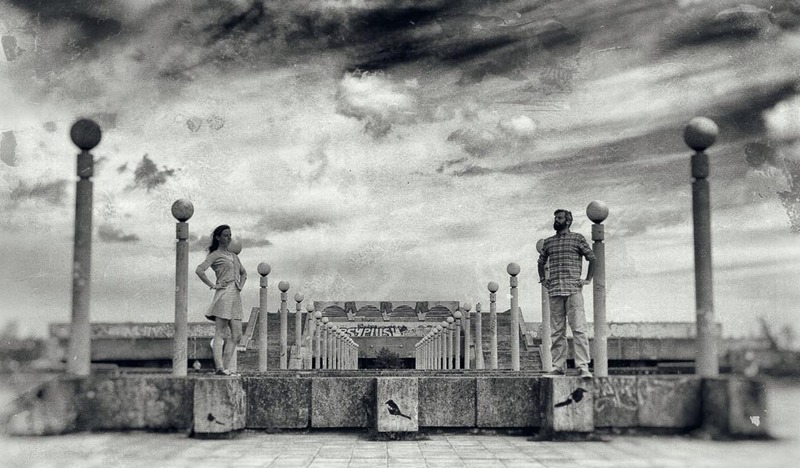 Here you can stand on the Olympic Podium, imagining the roar of the crowd around you. A wander up to the towers accessing the ski jumps will give you a real taste of just how petrifying taking part in this crazy event must be. Although getting to these sites takes a bit more effort than your average stroll around Sarajevo, the impressive views and feeling of urban exploration are more than reward enough. 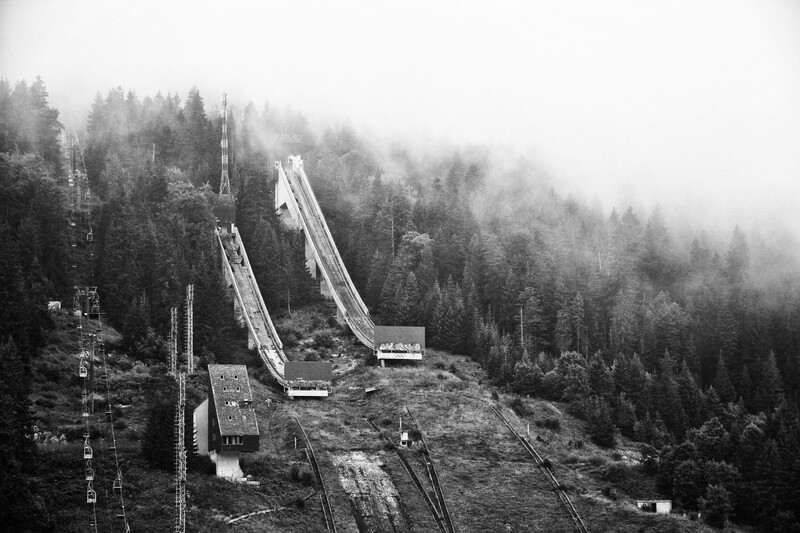 I thought ski jumping was for me until I went to the top…. During the Siege of Sarajevo, all access to the city was cut off. The UN disallowed access through the airport,the only part of the city linked to Bosniak territory. People caught trying to cross the airport were turned back and shelling of the aiport was a further hazard. As a solution to this, the Bosniak Army dug a tunnel under the airport thus providing a vital link between the city and the outside world. 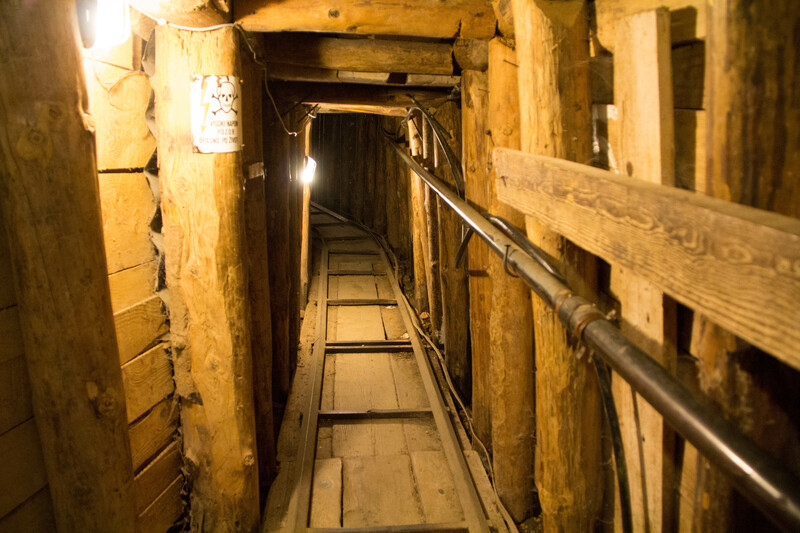 You can visit the museum and crouch your way through a short section of tunnel at the house where the entrance stood. Apparently there are plans to renovate the tunnel, which has collapsed, and build official museums at each end. In the mean time though, the existing museum offers a fascinating insight into the lifeline that kept Sarajevo supplied during the war. The museum is located beyond the end of the tram lines, so you have a couple of options: Take a tram to the end of the line and then walk to your destination or take a taxi from the centre. Easy peasy! Many of Sarajevo’s Museums are currently in a bad state of repair or unfortunately closed for the foreseeable future due to the difficut interference of politics in their running and general indecision on who should be funding them. Despite this, we enjoyed spending an afternoon at the Historical Museum. 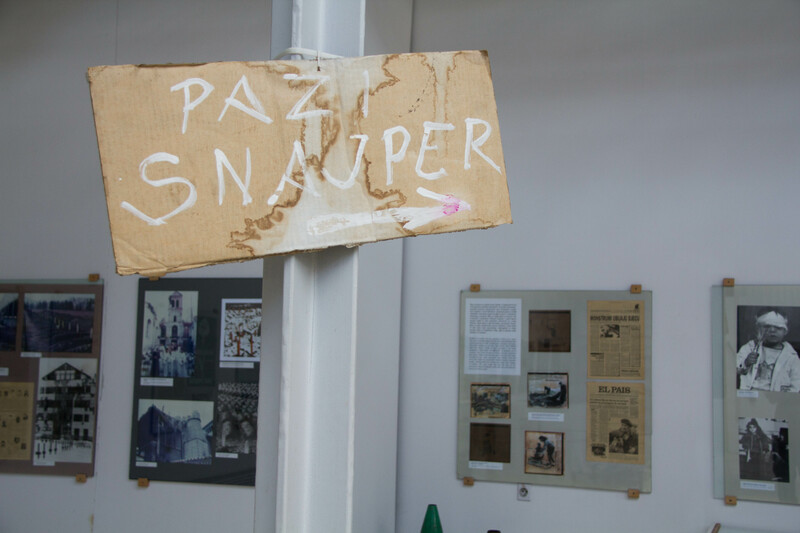 In particular, the exhibition on the Siege of Sarajevo gives a fascinating insight into people’s lives during the conflict and the pretty horrendous rations that were on the menu daily. It’s a little frayed around the edges, but it’s easy to look beyond that and enjoy the displays. Situated right behind the Museum of Cultural History, the Tito Cafe does exactly what it says on the tin. 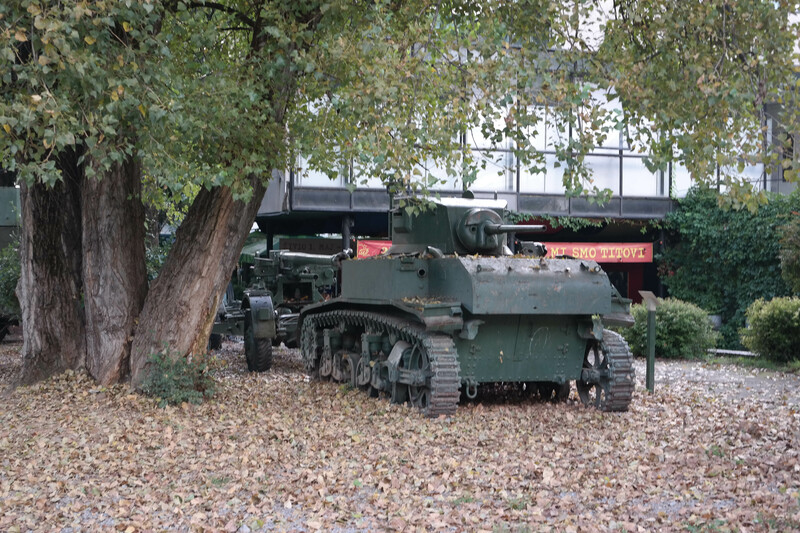 The grounds around are dotted with tanks, artillery and military jeeps. The walls are covered, unsurprisingly, in photos of the man himself, the tables are decorated with newspapers filled with articles written about him and they do a great macchiatto to boot! When you say the word ‘dictator’, it conjures up images of hardship, but for many of the older generation Sarajevans, the time of Tito is an era to be fondly remembered. 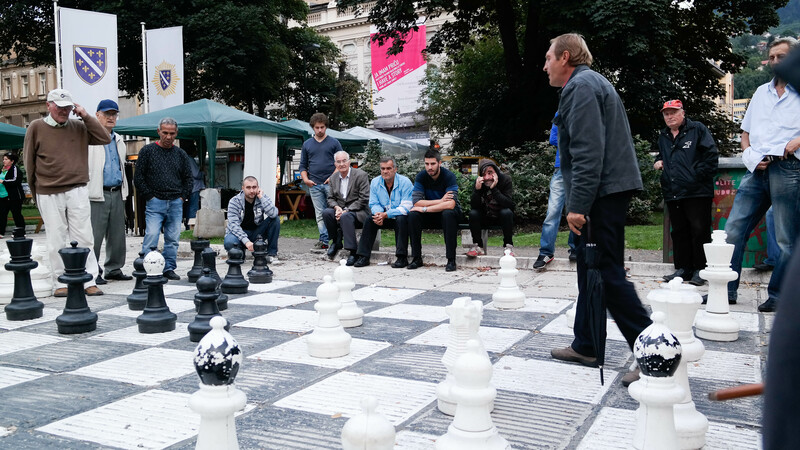 Every day in Sarajevo a group of retired men gathers in the park adjacent to the Orthodox Cathedral to play Chess for the day. It’s a battle of wits and the quips exchanged are sharp as knives, apparent even to those who speak no Bosnian. Advice is offered by all and sundry, arguments peak and disperse and it’s thoroughly enthralling to watch. Debates rise and fall and competition is fierce! 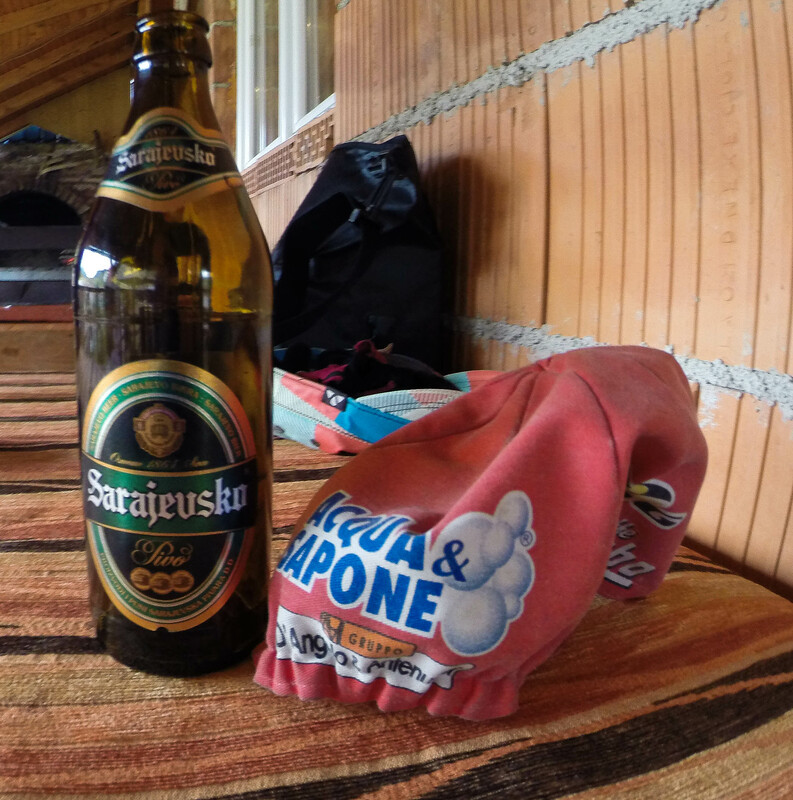 Once in Sarajevo, you can’t help but take notice of the local beer. The Sarajevsko bewery is located South of the river, opposite the Latin Bridge. An imposing Austro Hungarian style red building, you can sample the brew and try some of their apprently superb fayre. This brewery was one of the few industries not to shut down between 1992 and 1995 while the city lay under siege, perhaps an indication of where the cities priorities lie?! The small alleyways of the Bascarsija bely a brilliant secret, some excellent, atmospheric, decently priced bars! Watch the comings and goings of the Old Town with a brew in one of the small bars, if you can find them! Barhana was an excellent little spot and had great value beer on draught. I can’t think of a better way to finish a day in one of the most vibrant and beautiful cities I have ever visited. Ok, so I ended up with 11 things to do, but Sarajevo is just that kind of place, you’ll never struggle to be entertained! On top of the list above, there are some tasty morsels that should most definitely be interspersed throughout your days in Sarajevo. Beginning the day with a Burek may not be the best thing for your heart, it’s layer upon layer of filo pastry with either a meat or cheese filling, but sometimes it’s worth forgetting about your waistline in the name of culinary research. Throughout the Ottoman Area, there is a small sprinkling of bakeries that are making Burek in the traditional way, in a wood burning oven. Not just novel to see, they produce some of the best Burek you will get in the Balkans. If you’re going to do it properly, you need to wash this down with a tasty yoghurt or you have the option of having it served on the side of you meal. With breakfast firmly behind you, your mind may wander to elevenses. 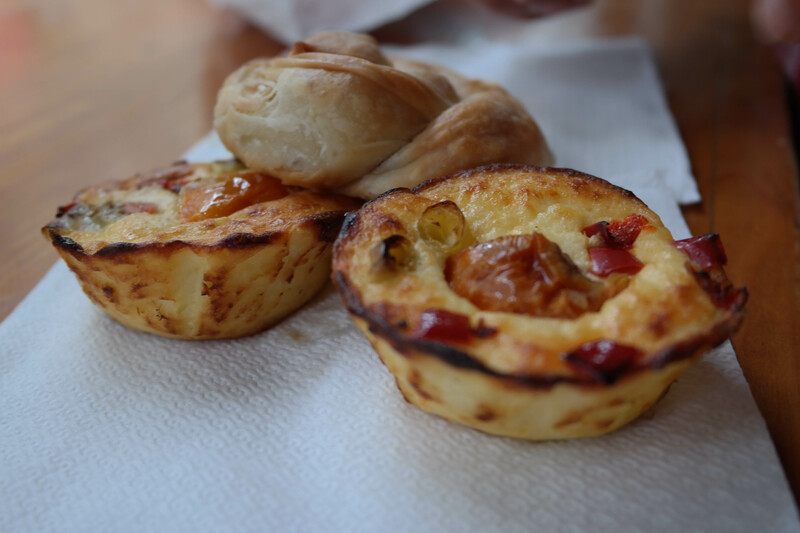 Along Ferhadija, as you approach the Eternal flame, there are several really great small bakeries. In one of these, I sampled a cheese-soufflé type muffiny thing.I’m afraid I don’t know what they are called, but they’re unmistakable and easily one of the best snacks to have ever passed my lips. However, if this doesn’t sound like your type of thing, options abound. These bakeries are full of a myriad of pastries both sweet and savoury and I challenge you not to find something that takes your fancy! With all there is to see and do in Sarajevo, there is one traditional Bosnian food that is not to be missed, Cevapci. These are rolls of spiced minced beef, served with a bread bap and onions. Be sure to order some Kajmak, a local soft cheese, on the side to make your meal complete. You can get Cevapci almost anywhere you look in Sarajevo, it’s a staple in the diet here. With that final nugget of advice, I’m fairly confident you have all the tools and info you need to have a blast in Sarajevo. This list is not a comprehensive ‘To Do’ list but rather a list of things that I feel you shouldn’t miss out on when visiting this fantastic little city. I have not mentioned each religious or cultural site such as the Mosques or War Memorials independantly as they are easy to find and the internet abounds with information on them. Feel free to comment wih any suggestions or amendments or simply anything you think shouldn’t be missed out on by visitors to this gem of a place!